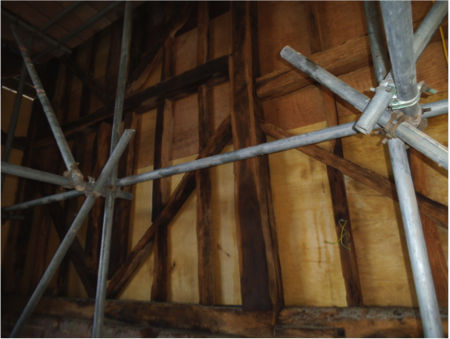 Following the completion of damp proofing works by Kenwood to a building in Guildford, our client requested our services once more for the eradication of Woodworm within the barns located on the site. Built in the 1800’s this beautiful barn is being converted into a large family home. In order to treat the woodworm infestation, Kenwood use a micro insecticide, this is sprayed under low pressure to coat the affected timbers and joists etc. 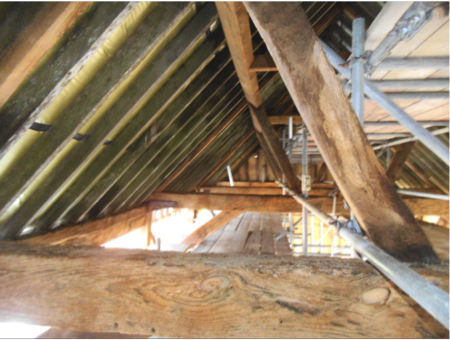 Kenwood’s treatment is non staining, perfect for this project as they wish to keep the timbers exposed within the new home. In addition the treatment is very low odour and occupants, or in this case contractors, can re-enter the space after only 1 hour causing minimum disruption during this refurbishment.